Weevers, whose ‘Mary!’ (2009) received a New York Video art award, has already started his next production. 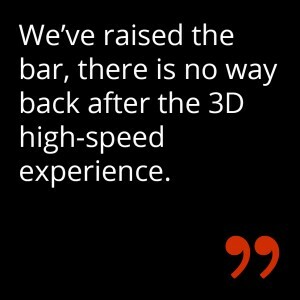 ‘We’ve raised the bar, there is no way back after the 3D high-speed experience’. Hopefully we will see Weevers and other leading video artists’ new work at the 2013 Biennale in the Grote- of Lebuinuskerk in Deventer!